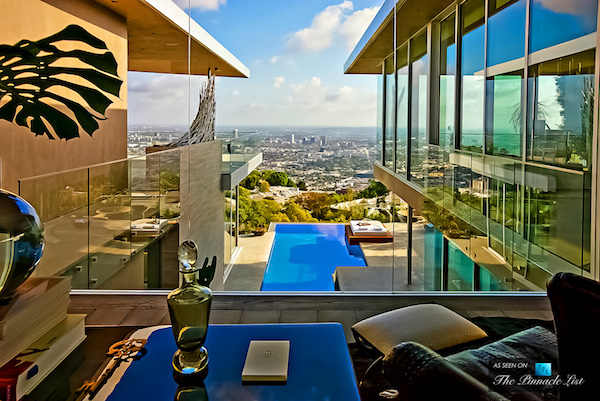 via contemporist. 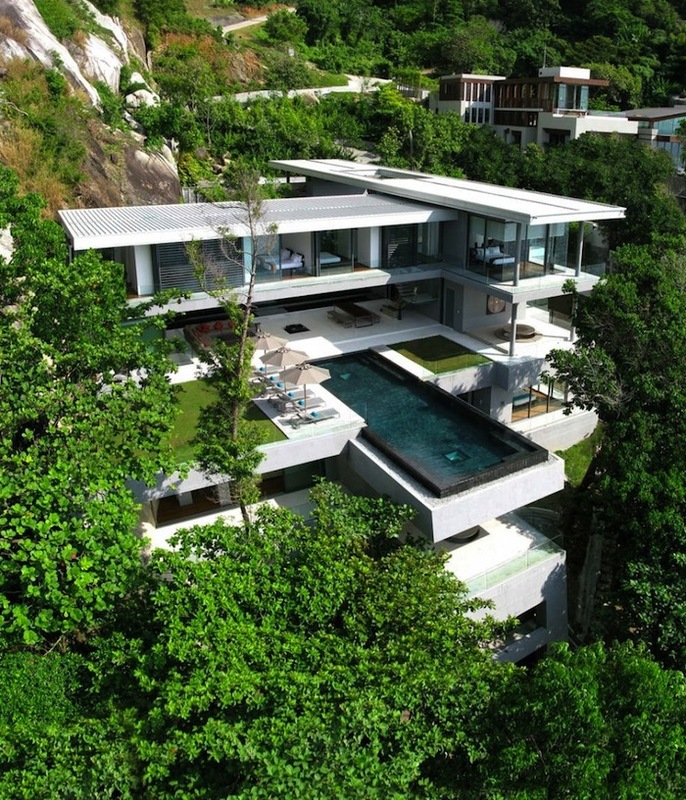 Original Vision designed the Villa Amanzi in Phuket, Thailand. More photos below. via mymodernmet. More photos below. via buzzfeed. 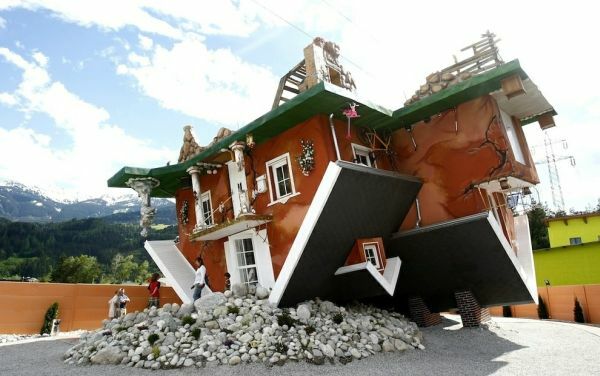 Polish architects Irek Glowacki and Marek Rozansk built this upside down house in Terfens, Austria… complete with a garage and an upside down Beetle! This project is meant to serve as a new tourist attraction in the area, and is now open for public viewing. More photos after the jump. 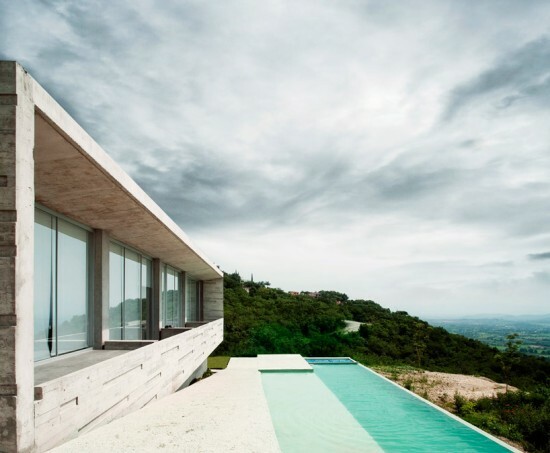 via archdaily. 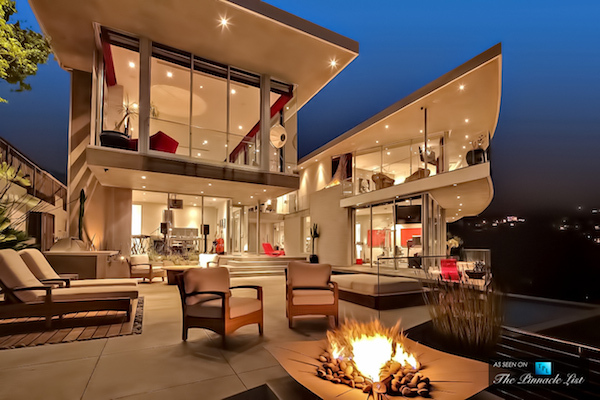 House designed by RZERO. Check out the photos below. via boredpanda. This bathroom is inside a penthouse in a home built in Guadalajara, Mexico. 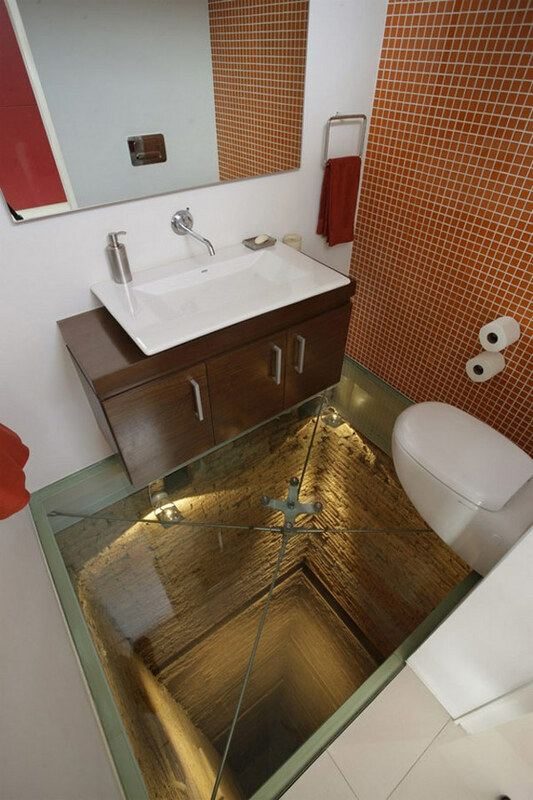 The bathroom itself was built over an old elevator shaft and topped with a transparent floor. 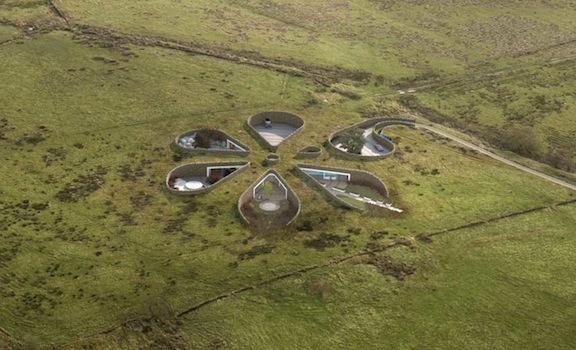 Extreme bathrooming anyone? More photos below. via lanciatrendvisions. 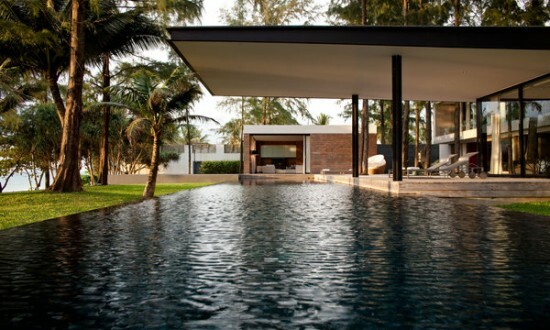 Villa Noi is a house located in Thailand next to the Phang Nga bay. 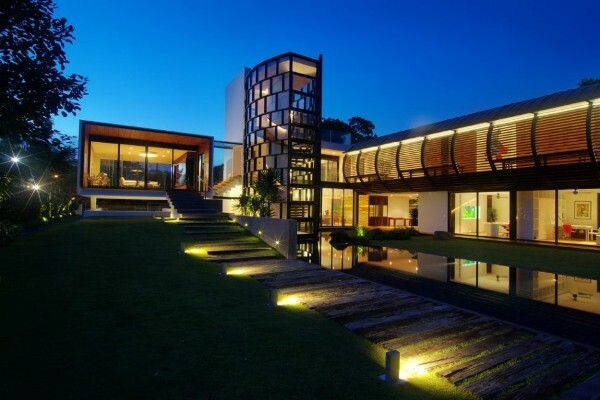 Designed by Duangrit Bunnag Architect. More photos below. 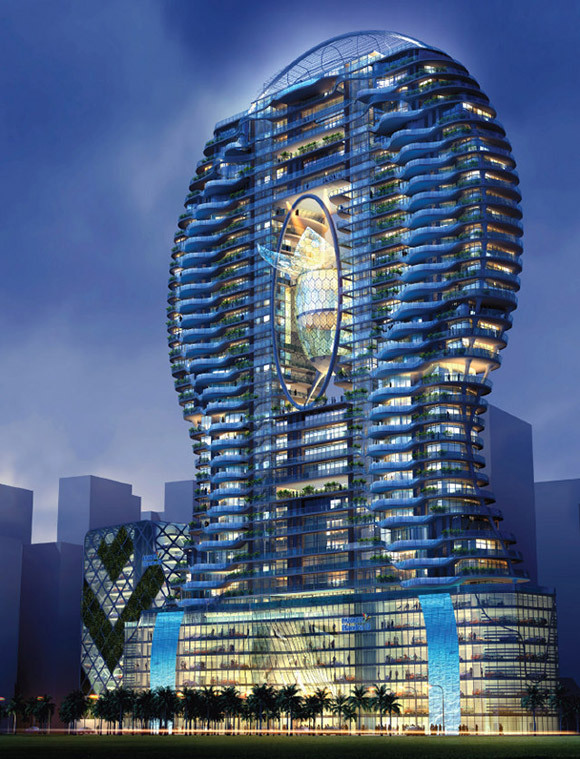 This the Bandra Ohm, a 30-story skyscraper designed by James Law Cybertecture to be built in India. 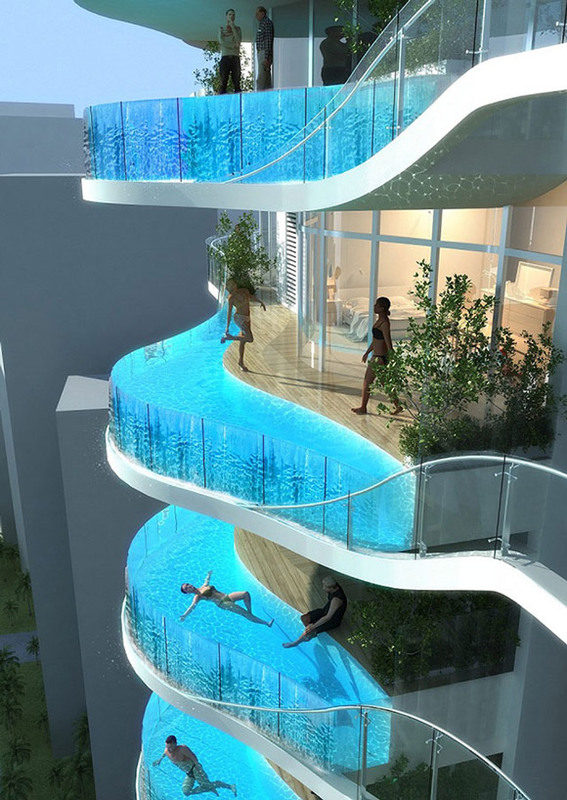 Each residential unit features a glass-walled pool for a balcony. Pretty cool! Austria based studio Innocad recently completed the PH New York project. 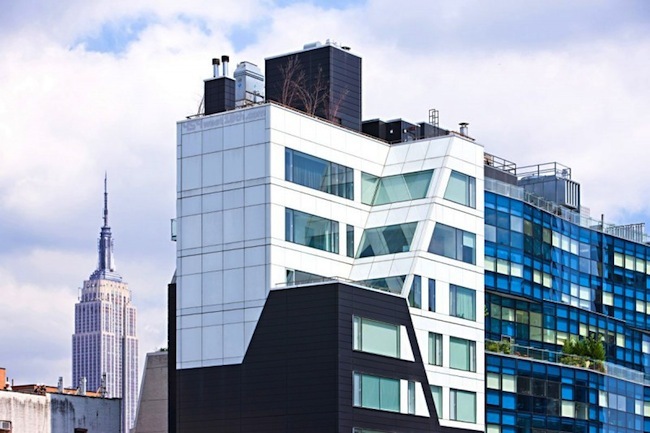 The architects designed the interior of a rooftop apartment in the Meatpacking District in NYC… Looks great! More photos below.